A convenient charging point for those with an environmentally friendly electric car. Plug in and charge while you shop or avail of the delights at our Coffee Corner. 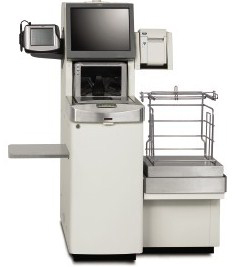 During the stores extension and revamp that was completed in November 2011 4 Self-Scan Checkout units were introduced. With the ever available assistance of a Checkout Attendant, the system allows the customer to scan their own products and helps to reduce checkout time. Self-Scan has proved so popular that 2 additional Checkout Units were added in August 2012 now giving the store a total of 6 Self Scan Checkouts.